General Hospital (GH) spoilers for Tuesday, November 28, tease that Curtis (Donnell Turner) and Jordan (Vinessa Antoine) will join forces to track down Andre (Anthony Montgomery). Once Curtis passes along some news, Jordan will help him find their suspect. They know Andre is in the loop on twin study secrets. Jordan will confront Andre and urge him to talk on Wednesday’s new GH episode, November 29, so stay tuned. Meanwhile, Jason (Billy Miller) and Sam (Kelly Monaco) will have another serious conversation. When the twin situation comes up again, Jason will reveal a plan to Sam. It appears she won’t really be on board. Sam has been doing whatever she can to keep Jason feeling calm and secure. If Jason’s next idea poses a risk to his mood, she won’t want him to take it. On the footbridge, Oscar (Garren Stitt) will have a secret meeting with Josslyn (Eden McCoy). They’ll probably acknowledge that Oscar’s father could be Drew. Kim (Tamara Braun) said she knew Drew in San Diego about 15 years ago, so that should get the wheels turning for the teens. Oscar and Josslyn will make time for some fun as well. 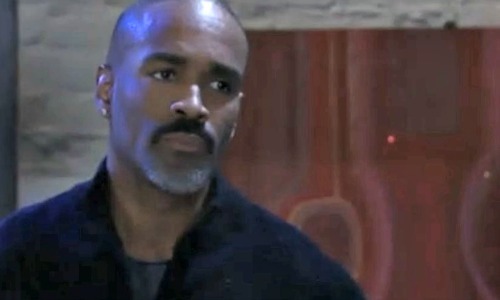 General Hospital spoilers say Joss will give Oscar a big surprise. He’ll smile as she offers a hint of what’s to come. Elsewhere, Ava (Maura West) will get ready to go under the knife. Her new doctor will grab a syringe as he moves forward with this risky procedure. Ava will battle second thoughts, but she’ll try to put them out of her mind. At GH, Griffin (Matt Cohen) won’t be able to get in touch with Ava. He hasn’t heard from her and Kiki (Hayley Erin) wasn’t able to connect with her mom either. Griffin will eventually take matters into his own hands. He’ll race to stop the operation, but the move will spark some hostility. Ava and her doctor may have a thing or two to say about Griffin’s unexpected interruption. Still, Ava should be relieved deep down. Griffin just wants to help, so maybe Ava can reach a place of gratitude sooner or later. Across town, Alexis (Nancy Lee Grahn) will struggle with temptation. She’s had Julian (William deVry) on her mind and those drinks are awfully enticing. Alexis is a mess over her lingering feelings, so it seems her issues have resulted in a vision. Julian just waltzed in out of nowhere and he looks perfectly fine. The last time we saw Julian, he was all scratched and bruised. Plus, it hasn’t been that long since Nora Buchanan (Hillary B. Smith) made the statement on Liv’s (Tonja Walker) behalf. It’s doubtful Julian would’ve been released on bail that fast. All of that probably adds up to a hallucination. Regardless, Julian will have one important request. Will Julian want Alexis to steer clear of the alcohol and concentrate on her loved ones? Julian is in the midst of his redemption arc, so it’ll likely be some type of selfless guidance. Can Julian and Alexis ever make sense of this twisted love web? Once Julian’s officially off the hook, they’ll give it their best shot. We’ll give you updates as other General Hospital details emerge. Stick with ABC’s GH and don’t forget to check CDL often for the latest General Hospital spoilers, updates and news.